The launch of any new social network (especially one owned by Twitter) inevitably causes a stampede of early adopters and brands racing to be the first to the party. And since Vine’s launch in January 2013, we’ve witnessed a whole host of consumer brands using the app to create some seriously cool content that has gone on to do the viral rounds - Dunkin’ Donuts and Samsung Mobile being great examples of this. On the other side of the coin, many brands’ dealings with the short-form video sharing network can only be described as pretty short-form themselves (ASOS, for example, bid farewell to Vine in July this year in spite of its 29k followers and 150k ‘loops’), and there are a surprising number of branded accounts lying dormant with only a couple of posts. 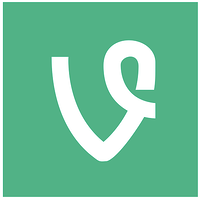 Vine is clearly not a worthwhile investment for everyone. Unlike its more spontaneous cousin Twitter, a Vine post (in spite of being a maximum of 6 seconds long) takes considerable planning if it’s to make an impact, and the rather unforgiving ‘loop counter’ on each post introduced earlier this year is a marker of those brands failing to gain traction. While online retailers certainly shouldn’t shy away from Vine as a means of building their brand, having a clear strategy, along with some creative flair is key. Here are 11 great posts from top brands on Vine to draw inspiration from when you’re planning your strategy. We love this glimpse into life as part of the Topshop press team, which to all intents and purposes looks pretty, well, flashy. As much as you'd like to, you can't invite all your fans and followers to your events and catwalk shows. Some brands - like Nordstrom and Matthew Williamson - use their Vine accounts to make fans feel like they're part of the action. Video is a great way of conveying brand story and some online retailers, particularly those like American Apparel who sell themselves on their manufacturing conditions, have created nice posts that offer a cheeky peek at the production process. Not all Vines are there just to be 'ahh-ed' at; many online retailers, like Wayfair and Ted Baker below are using the medium to promote offers and competitions encouraging followers to get involved. As with any fast moving social network, newsjacking current affairs and events in a clever way is a surefire route to Vine success. Here are two examples from M&S (for the World Cup) and Target (for Comic Con). Some online retailers - like Net-A-Porter and Levi's - are choosing to show off their artistic flair with their Vine efforts. The examples below feel like they'd be more at home in the Tate.